QwickPAY gives you the freedom to choose from Apple, Android, or desktop. Pick a card reader, and sign up for QwickPAY. It's easy and fast. The eDynamo is a handheld and re-chargeable magstripe and chip card secure card reader authenticator (SCRA). 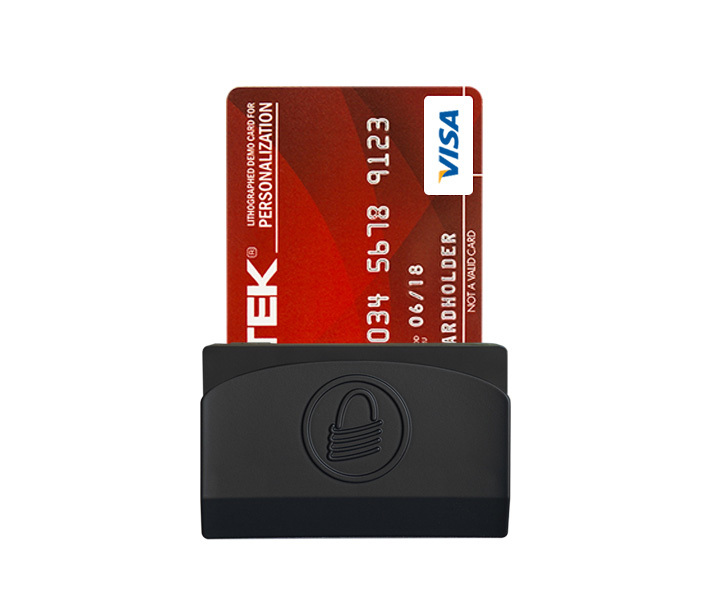 Connect it wirelessly to your iOS phone or tablet to secure your magnetic stripe and chip* card present transactions. 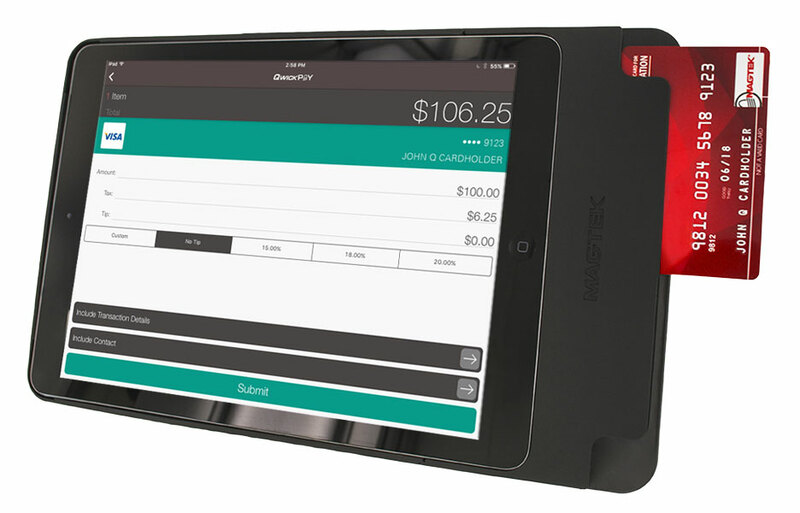 The eDynamo can also be connected via USB for a countertop point-of-sale solution using the QwickPAY Virtual Terminal. For a semi-permanent mounting option and or a longer swipe path, insert the eDynamo into its optional docking station. 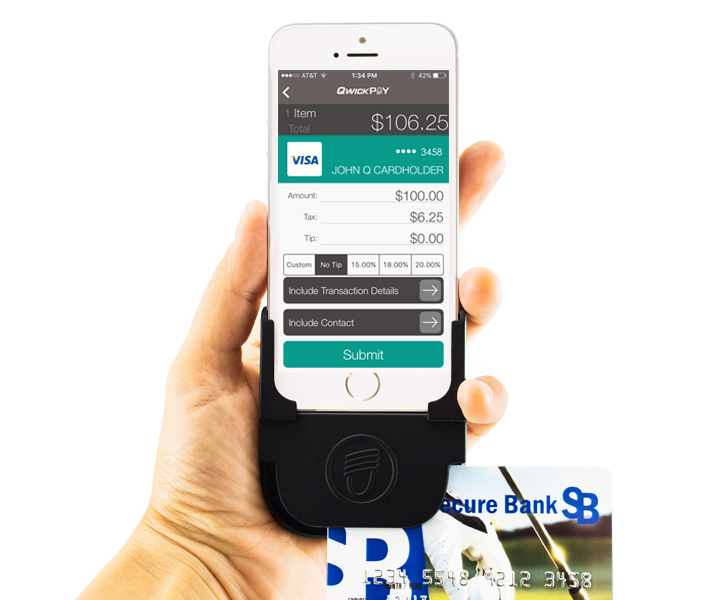 Made special just for Apple iOS devices, the iDynamo secure card reader authenticator (SCRA) turns your iPhone, iPad, and iPod Touch into a secure mobile point-of-sale system designed to bring you the simplicity and ease-of-use you expect from any made-for-Apple accessory. Truly universal in design, the uDynamo secure card reader authenticator (SCRA) connects to your Apple phone or tablet with a retractable audio jack, while the USB interface wires you in to your Mac or Windows PCs so you can accept credit cards at the office or on-the-go. 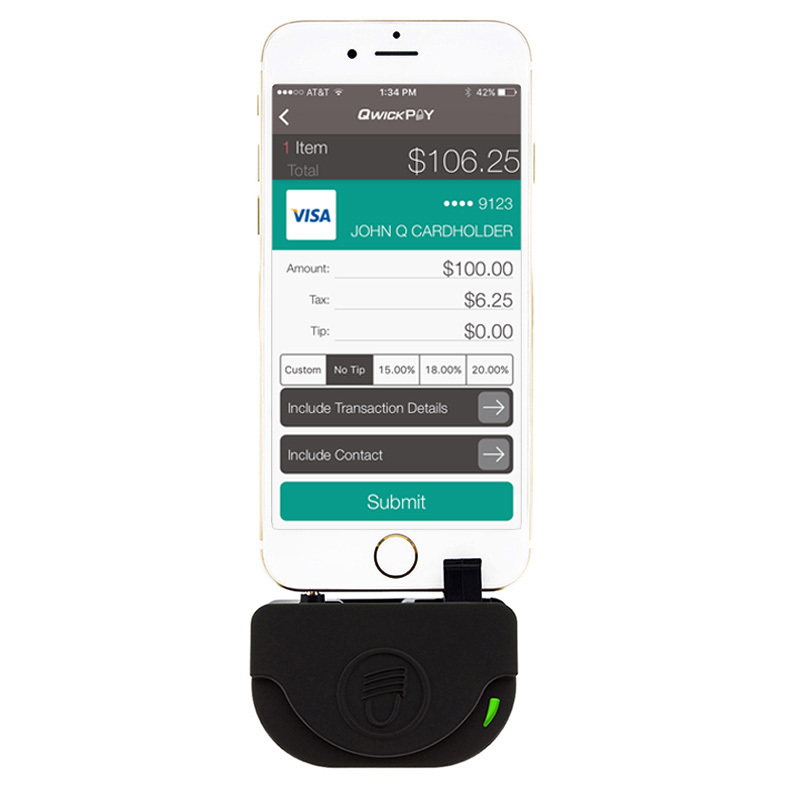 Made special just for Apple iPad devices, the cDynamo secure card reader authenticator (SCRA) turns your iPad Air 2, iPad Air, iPad Mini 3, iPad Mini 2 and iPad Mini into a secure mobile point-of-sale system designed to bring you the simplicity and ease-of-use you expect from any made-for-iPad surround.